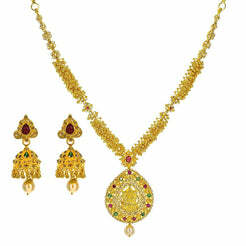 22K Multi Tone Gold Tikka W/ Bead Ball Accents & Open Cut Pendant for women. 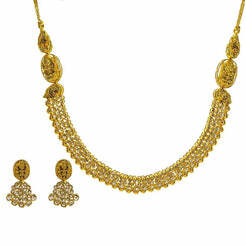 This beautiful 22K multi tone gold Tikka features an elegant design of smooth bead ball accents and an open cut pendant. Its chain is 4 inches long and 5.75 mm wide. Its pendant is 37 mm long and 23.65 mm wide. 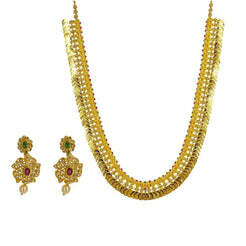 This elegant piece has a total gold weight of 9.2 grams.